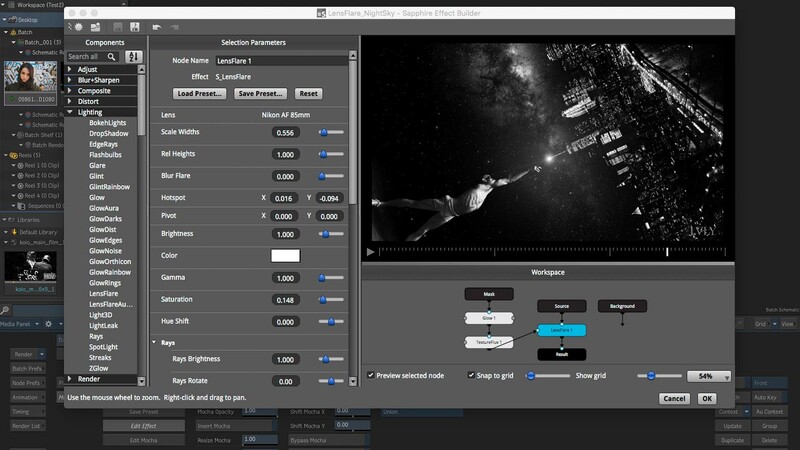 Las Vegas, Nevada, U.S.A. — April 8, 2019 — Boris FX Sapphire, the essential visual effects suite, will soon be available as an OFX plug-in for Autodesk Flame. Autodesk’s upcoming 2020 release includes new support for OFX plug-ins, marking a significant transition for the advanced 3D VFX and compositing software — and Sapphire 2019 is ready. Technology previews of Sapphire 2019 OFX plugins working inside the future Flame 2020 release are available at the National Association of Broadcasters (NAB), April 8-11, 2019 in Las Vegas, Nevada, Booth SL7620. Sapphire 2019 for Adobe/OFX is available for $1695. For licensing and cross-grade questions, please contact the Boris FX sales team.